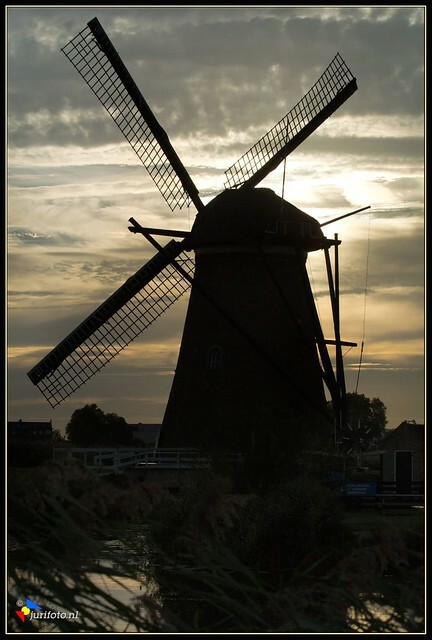 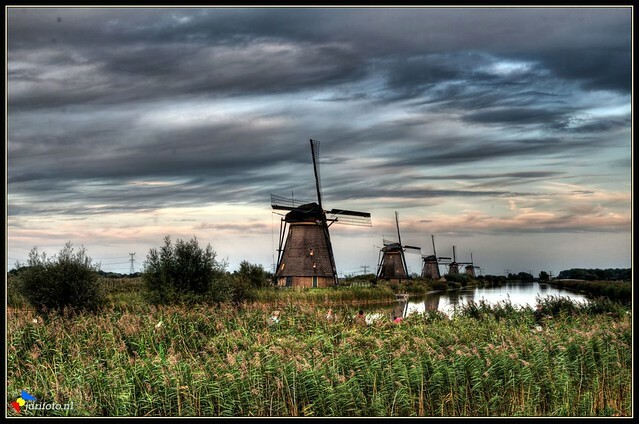 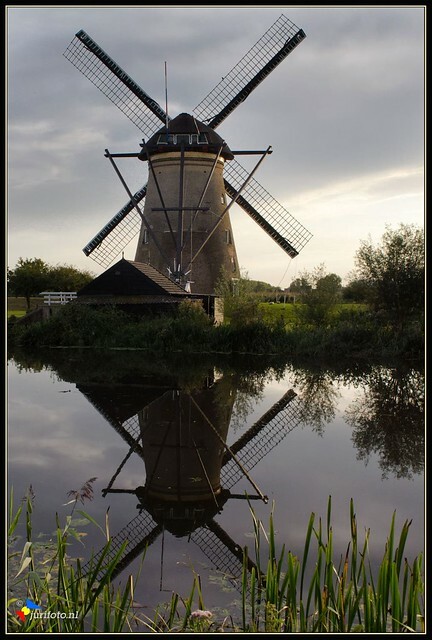 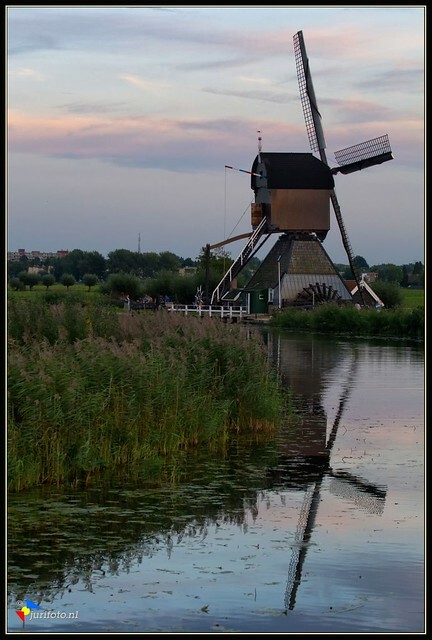 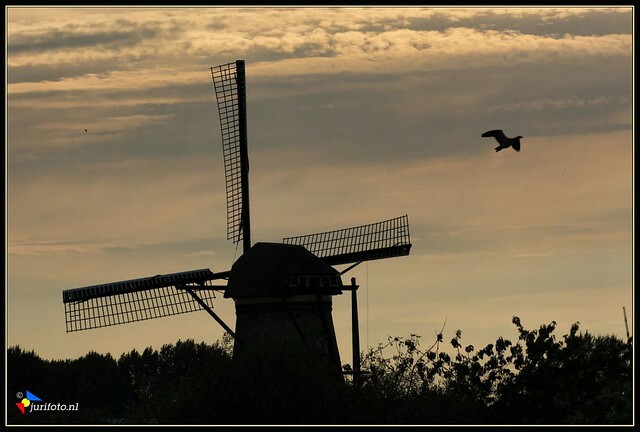 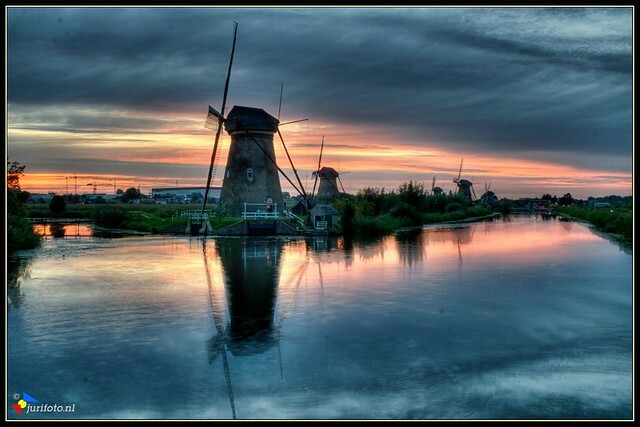 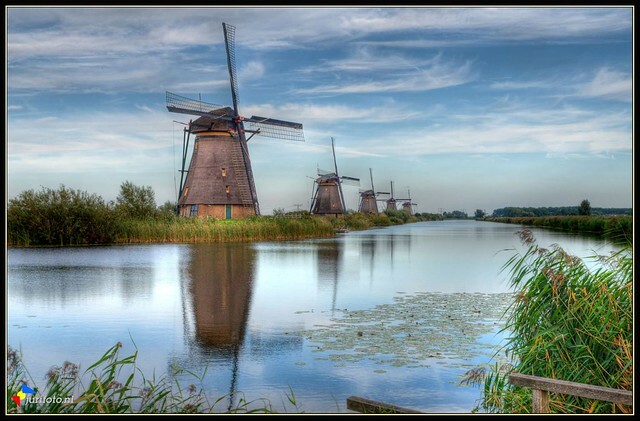 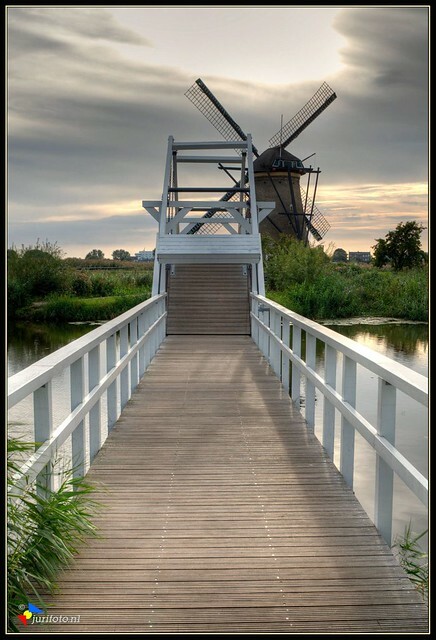 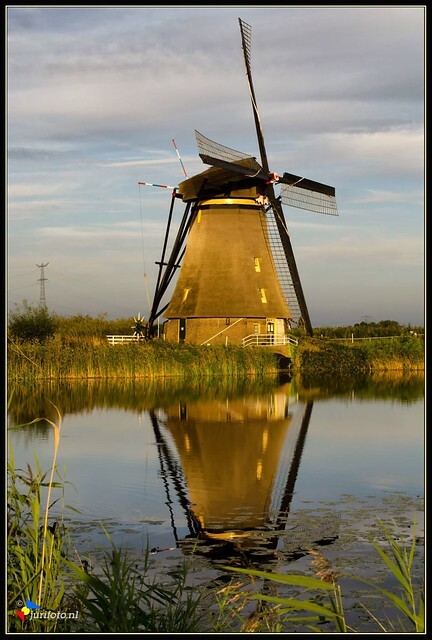 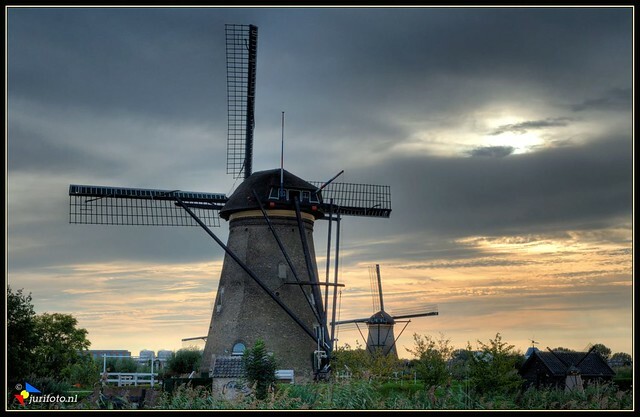 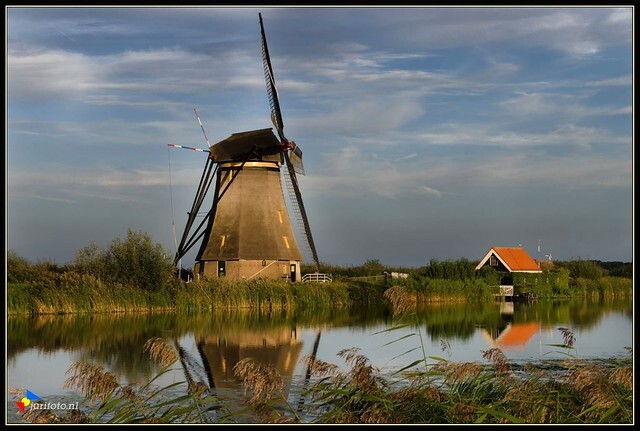 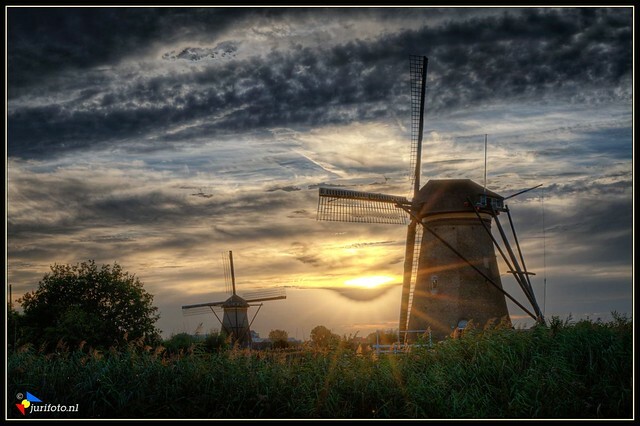 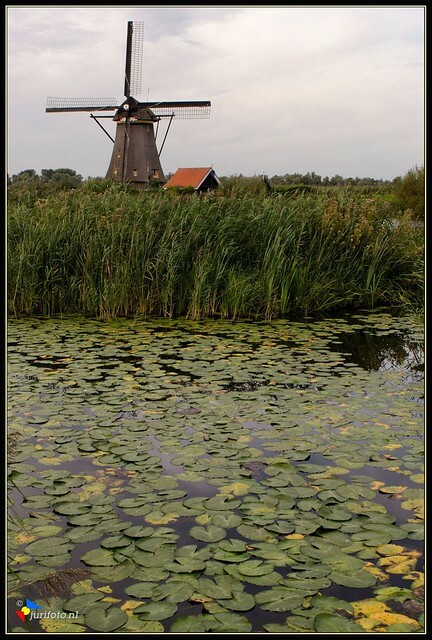 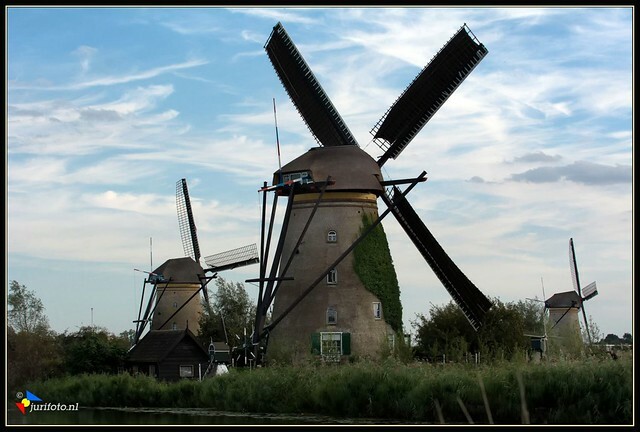 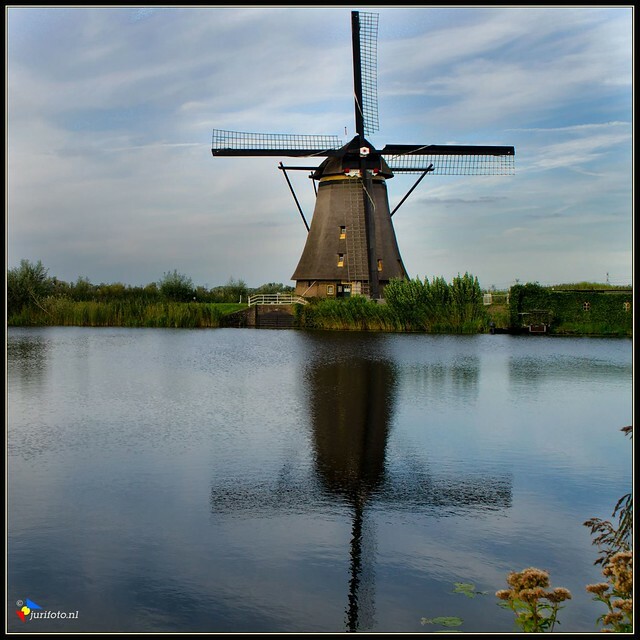 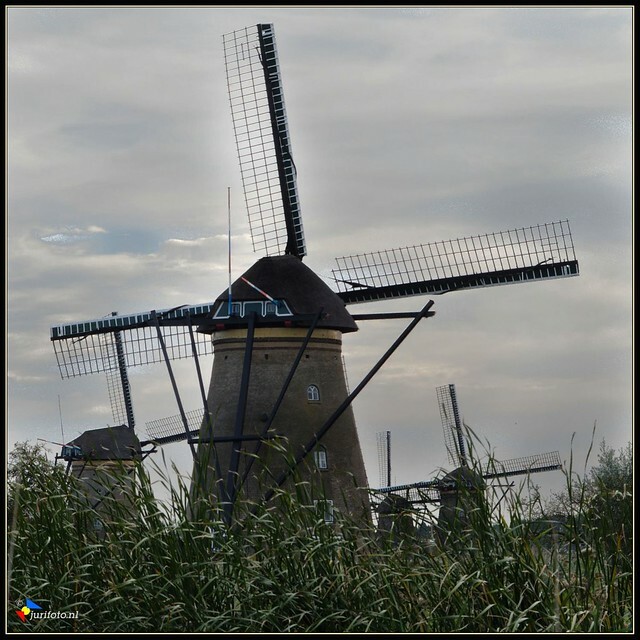 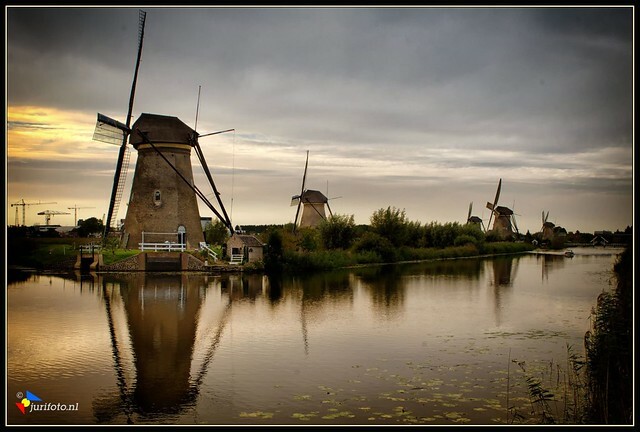 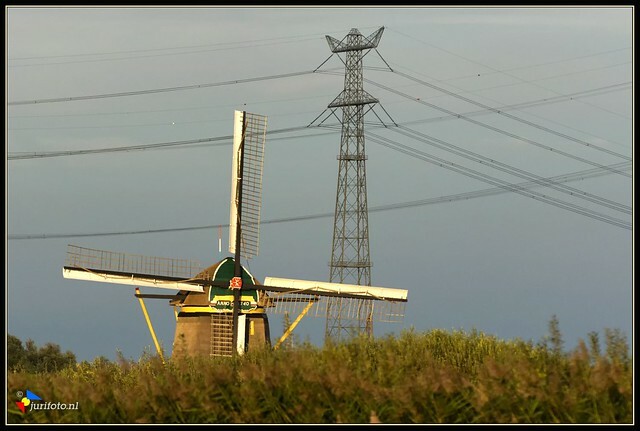 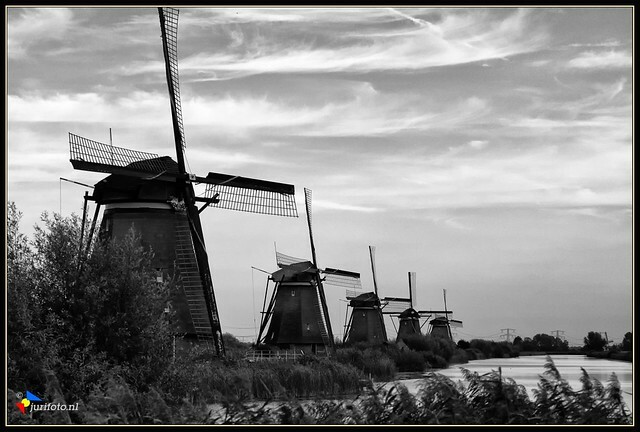 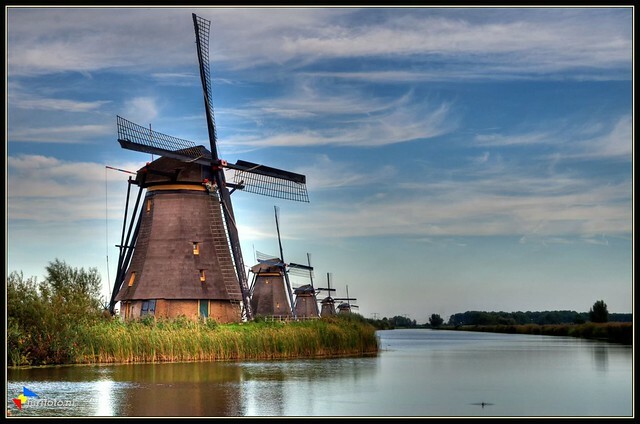 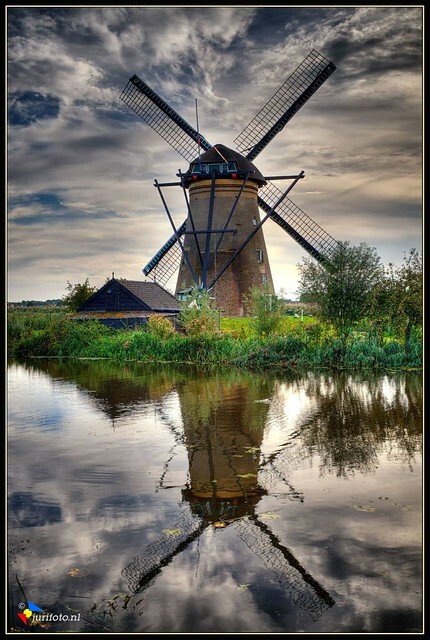 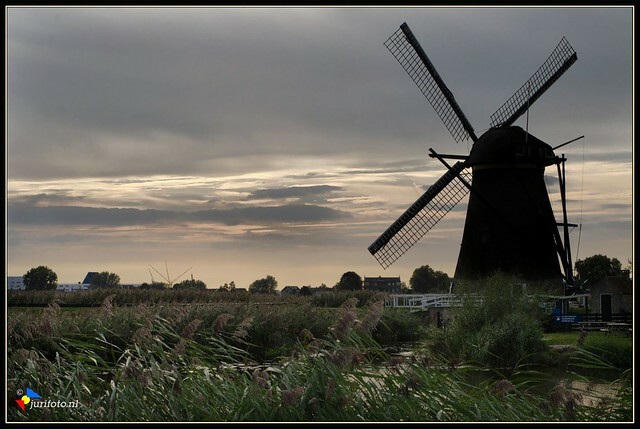 Kinderdijk is a small village at a distance of only 16 kilometers of Rotterdam. 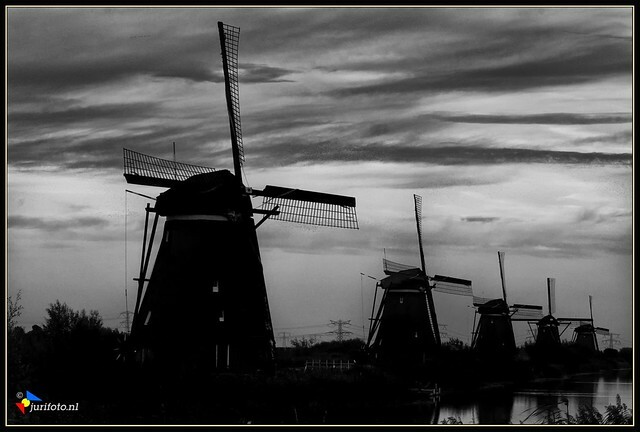 unique for it 19 windmills dating from the 1500s. 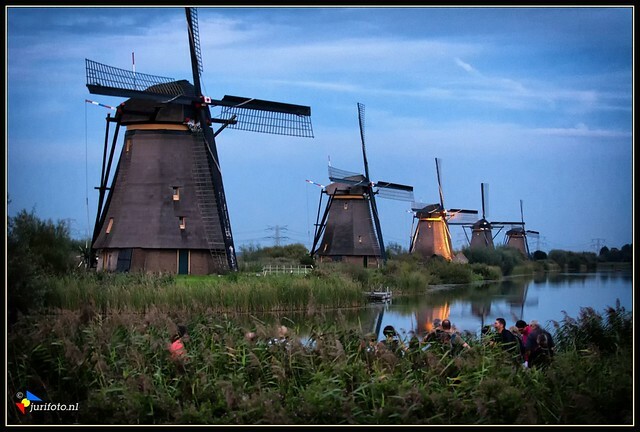 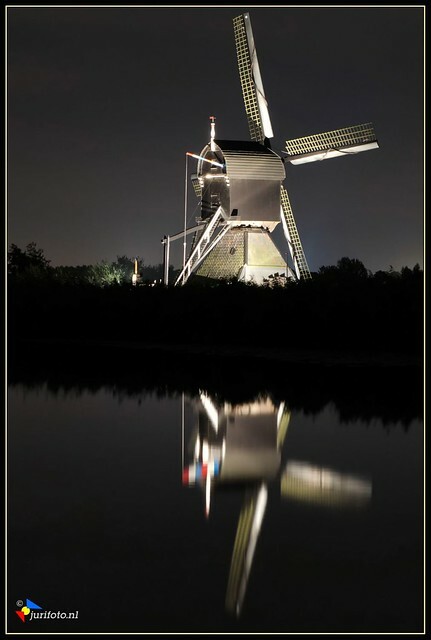 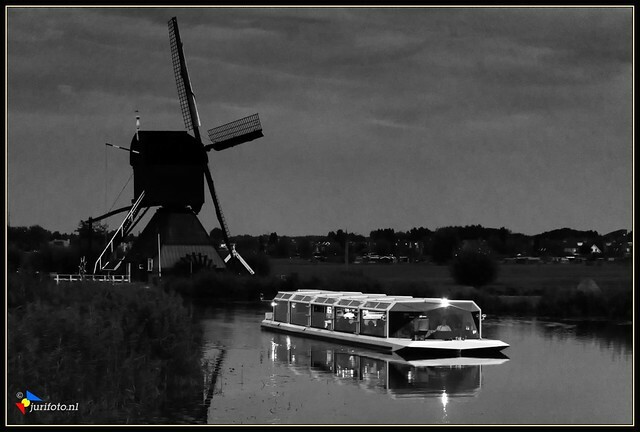 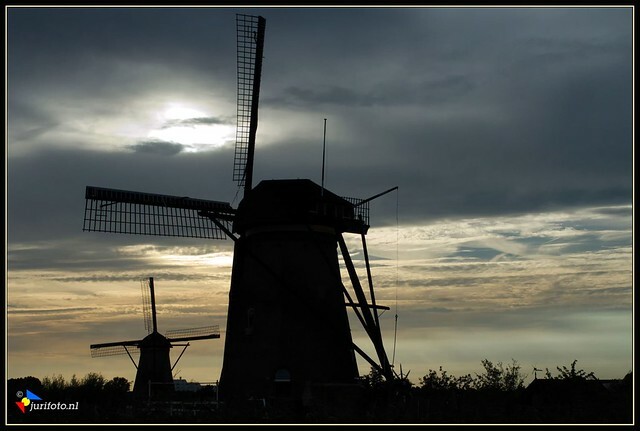 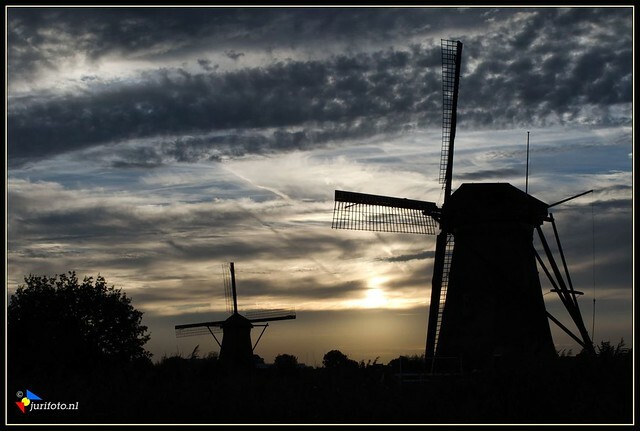 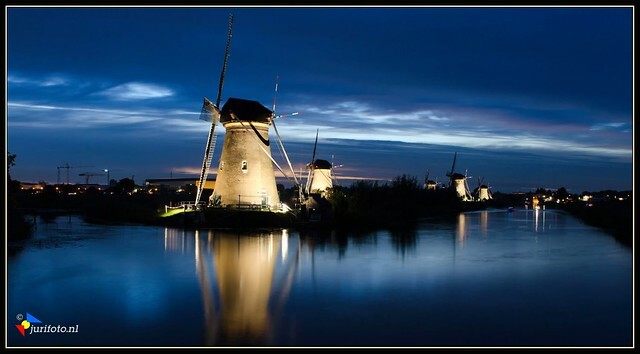 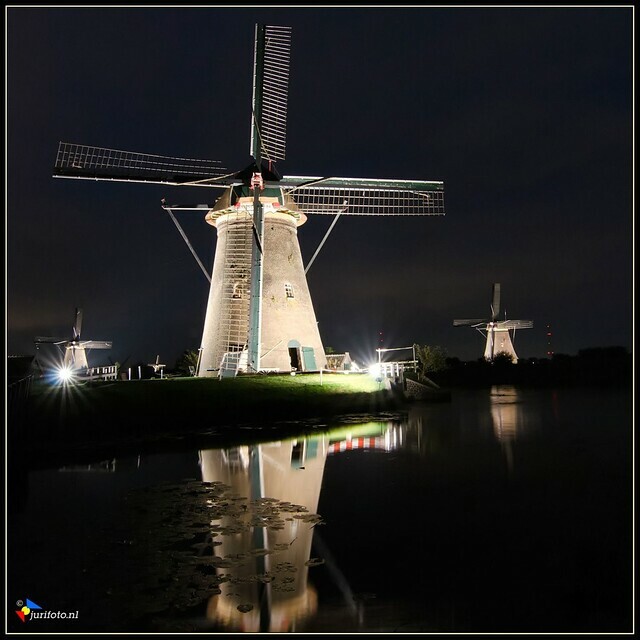 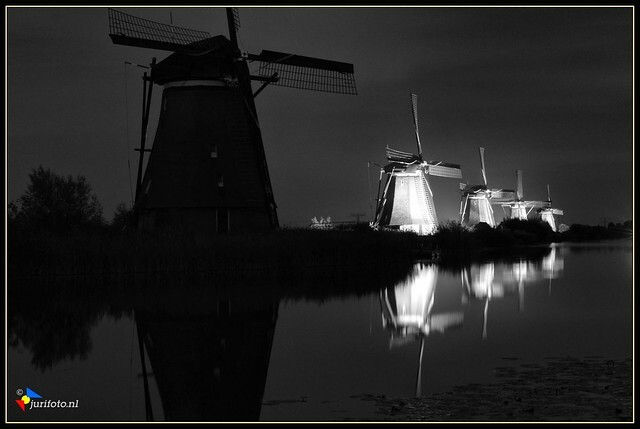 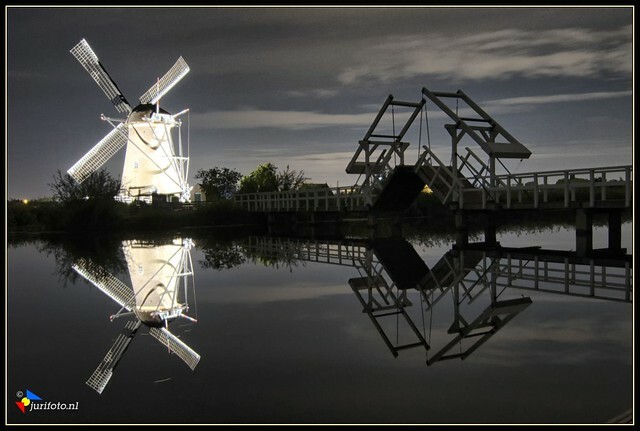 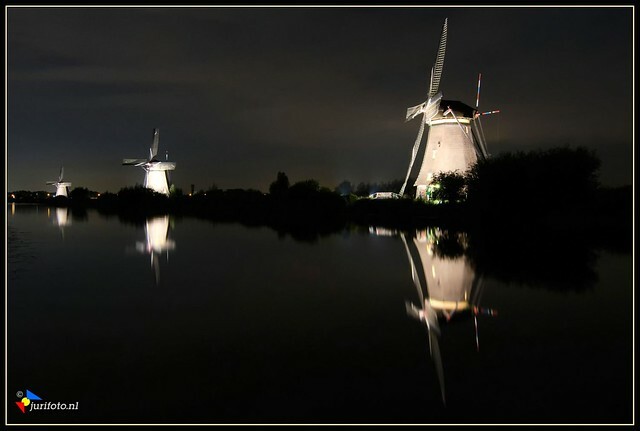 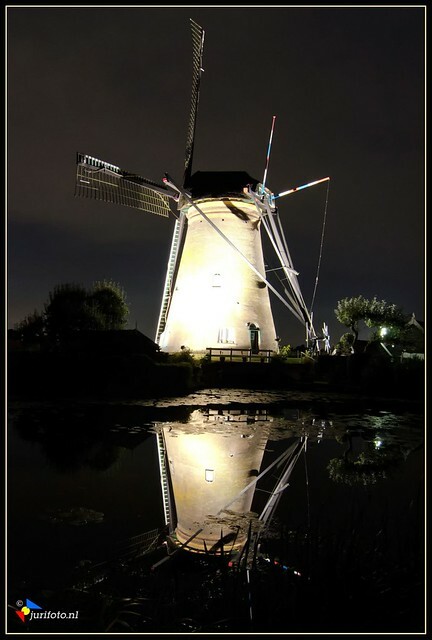 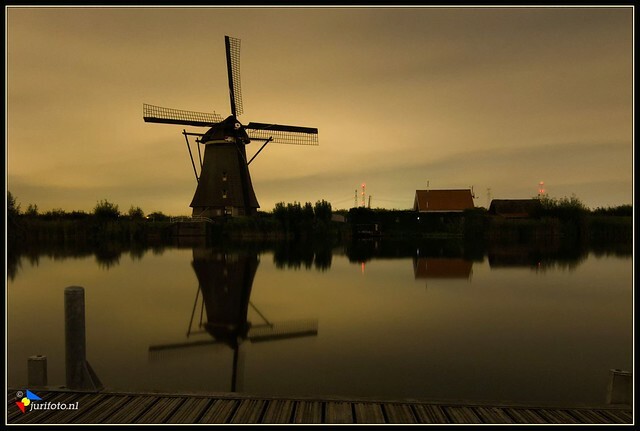 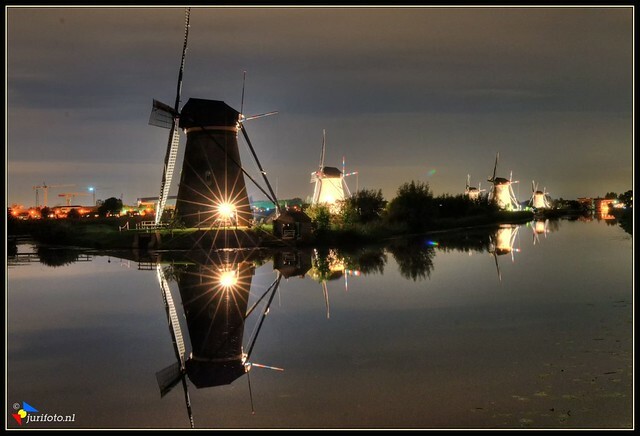 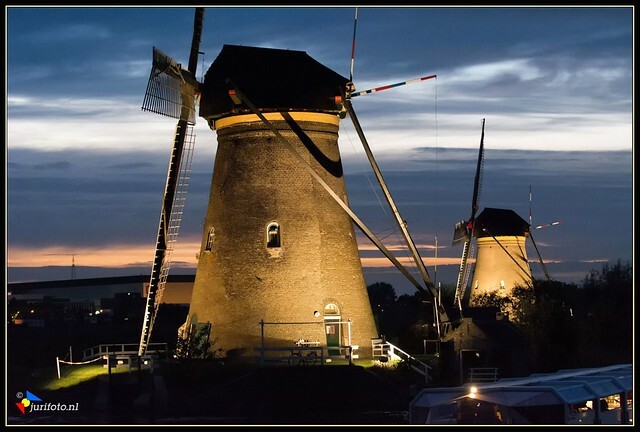 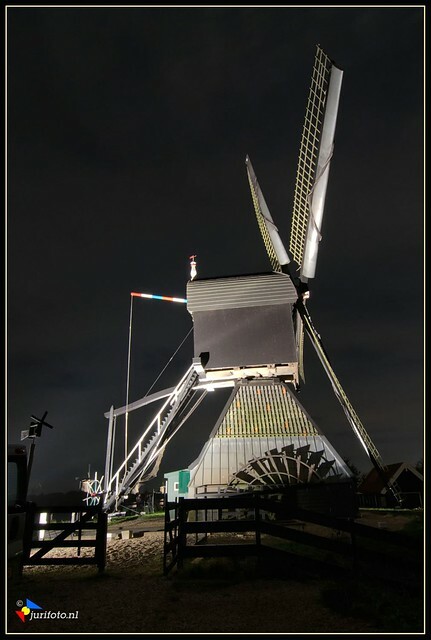 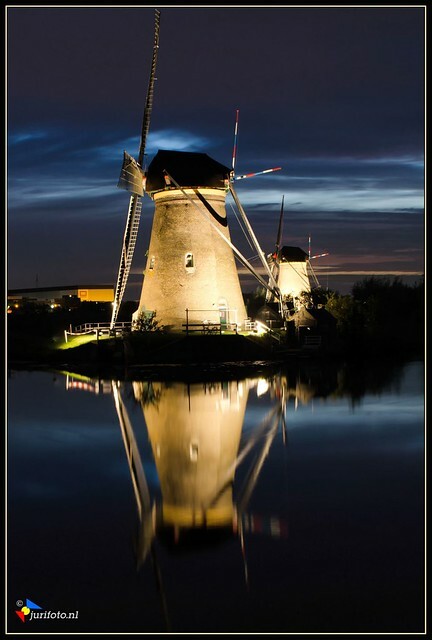 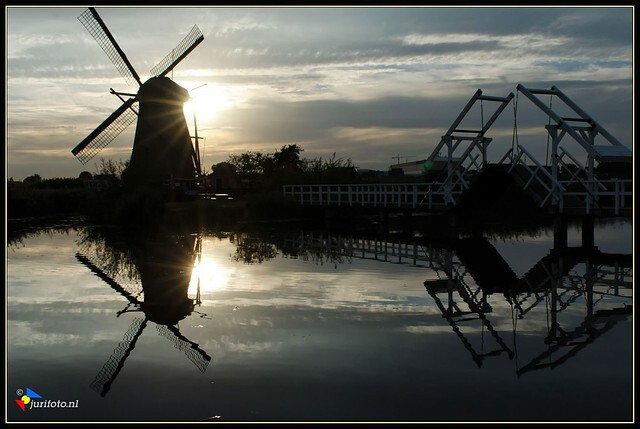 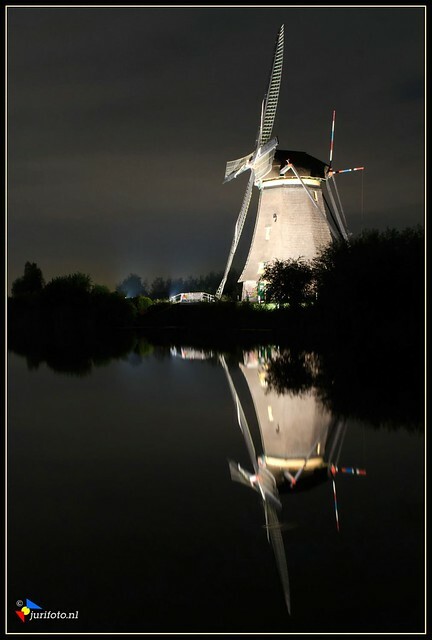 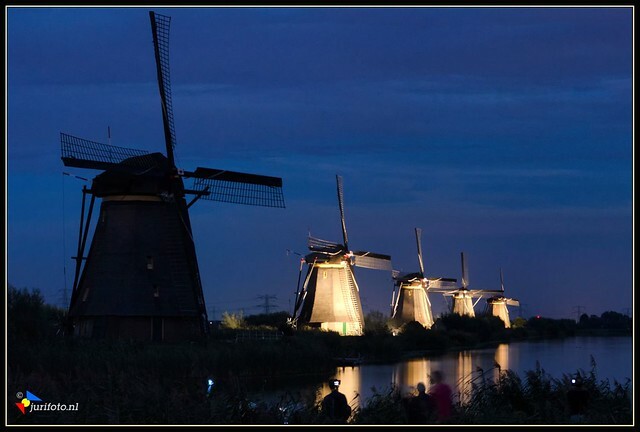 During the 2nd complete week of september the Kinderdijk windmills are lighted at night, which is called mills in floodlight. 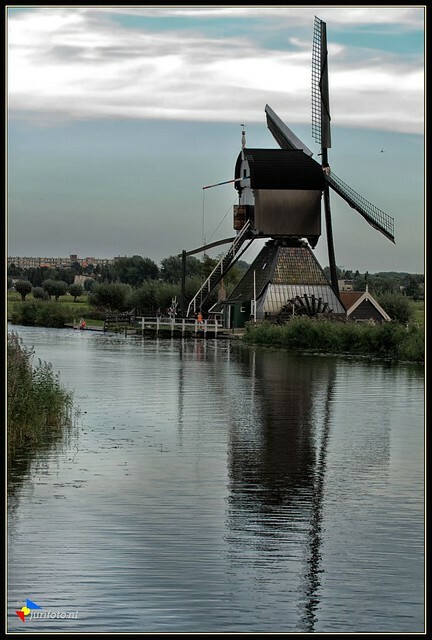 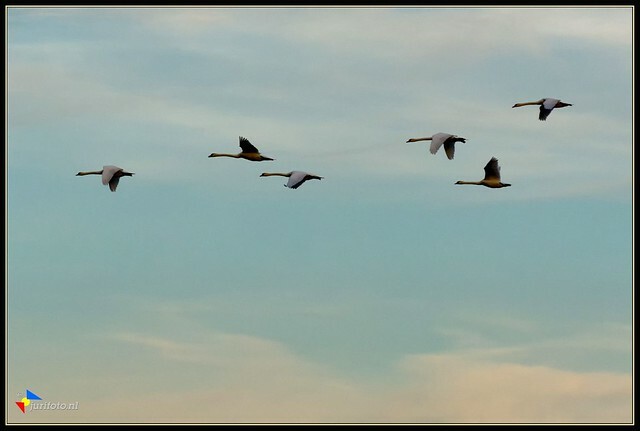 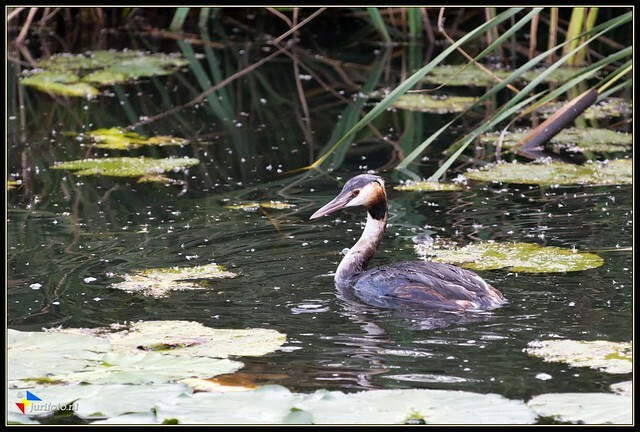 This attracts many visitors from all over the world.